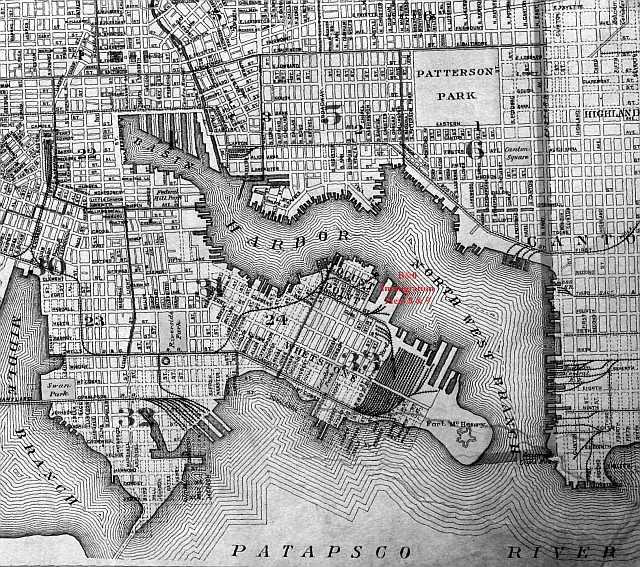 Because of its direct connections to Chicago and St. Louis, and contracts with immigrant passenger lines such as the Norddeutscher Lloyd company, the Baltimore and Ohio Railroad piers 8 and 9 at Locust Point in Baltimore played a significant role in receiving the millions of immigrants who came to America in the years following the Civil War. 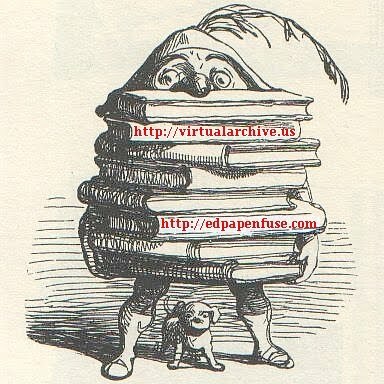 From State and Federal records linked to family papers and family memories, the stories of those who came and stayed, or who passed through can be told. Just recently the Baltimore Sun reported on a family reunion in Baltimore of the Hankin family from all over the country, who traced their arrival to Baltimore and Locust Point in 1912 (Baltimore Sun, December 17, 2012, Hailing 100 years in Baltimore). By 1903 the B & O reception center at Locust Point proved inadequate. With great fanfare the railroad documented with photographs and a story in the company’s magazine, Book of the Royal Blue (July 1904), the arrival of some of the first immigrants at America’s Largest Immigrant Pier, the new Pier 9 at Locust Point, just a short distance away from Fort McHenry, facing Fells Point across the harbor. It had been inspected and ready to receive passengers since New Year's day, 1904, according to the Baltimore Sun (January 1, 1904). 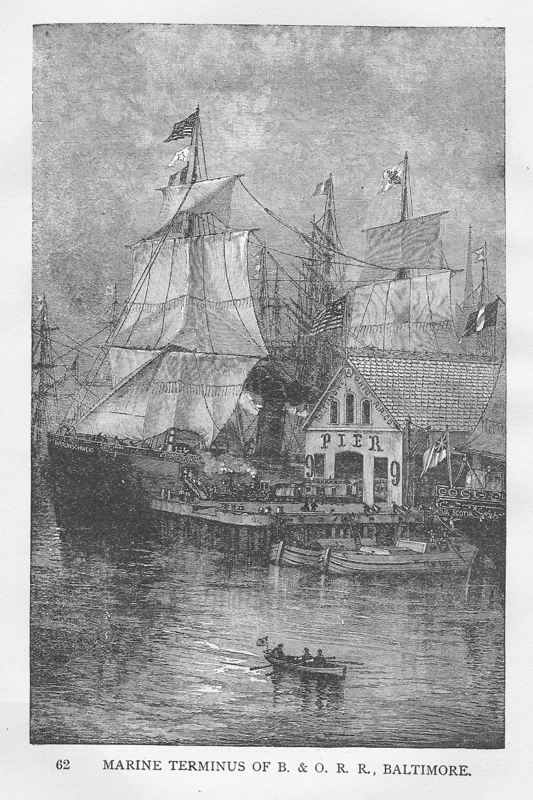 Among the first ships to arrive at the new Pier was the “Neckar,” recently built to carry over 2,000 passengers to the New World from its home port, Bremen, in Germany. The "Neckar" arrived at the new pier in June 1904, just in time to be photographed for the B & O magazine article. The “Neckar” would continue to be among the many ships that would bring their human cargo to Baltimore until the First World War, when it was commandeered by the American Government and used as a transport ship for American Soldiers when the United States entered the war. 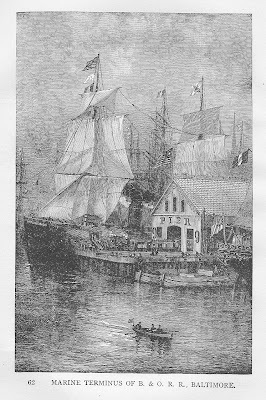 Many of the young people who came to Baltimore in search of freedom and opportunity would return on ships like the “Neckar” to defend their new homeland and to oppose the tyranny of the old world from which they had only recently escaped. 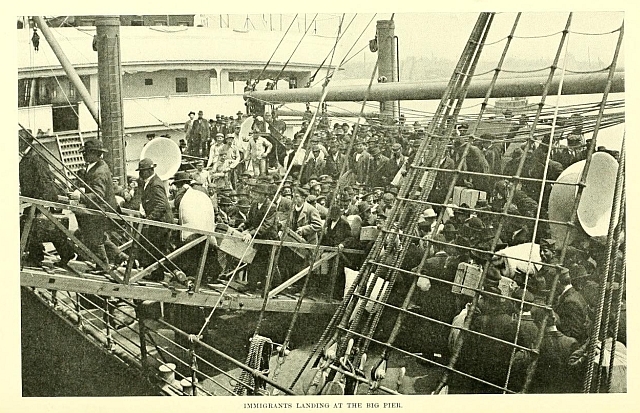 An overview of who came through the port of Baltimore, and of those who decided to stay, is found in the Annual Reports of the Commissioner General of Immigration, excerpts of which for 1913 and 1914 are reprinted here. 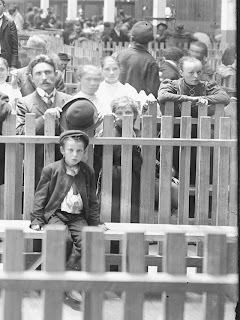 By 1913, with the clouds of war hanging over Europe, emigration had begun to slow. Still in the two fiscal years, 1913-1914, nearly 77,000 men, women, and children disembarked at the Locust Point Pier, most of whom were headed to points west, although a significant number noted their final destinations as Baltimore. 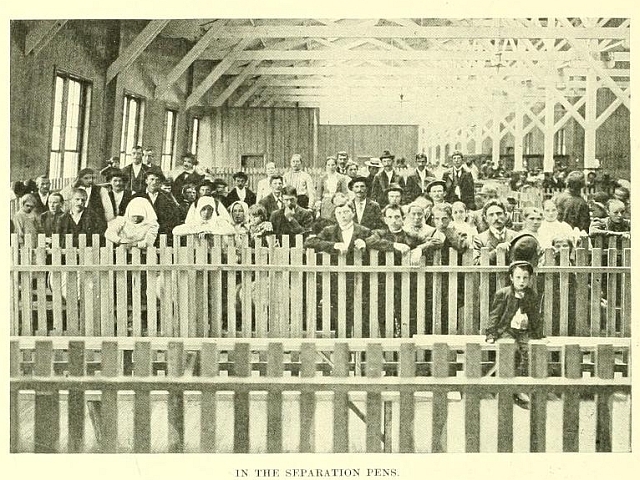 Passengers are still disembarked at the Baltimore & Ohio Railroad pier. 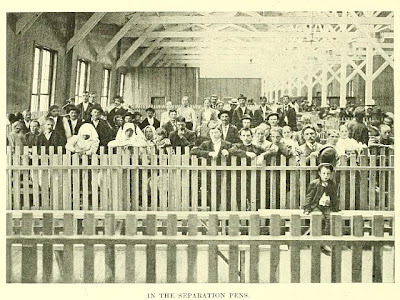 Locust Point, generally known as the “Landing station.” The pier is kept clean; and while the registration floor is ample for our needs, we should have more space for detention rooms and for a second board of special inquiry. The pier is, however, more or less of a “fire trap,” it being of wooden construction, with corrugated iron sides and no exterior fire escapes or adequate provision for getting out in case of fire. 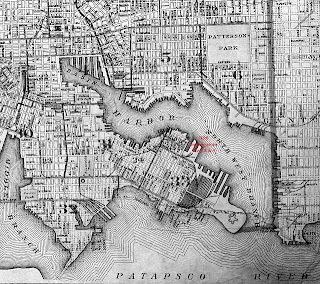 Fortunately before there was any fire, Stump and the Maryland delegation in Congress were able to obtain funding to re-purpose some of the land at Fort McHenry for a new immigration reception station which included a hospital facility, while the rest of the Fort, now a National Monument, was transferred (temporarily as it turned out) to Baltimore City as a public park. In October 1917 the former immigration terminal at Pier 9 and its companion pier 8, which had been the first immigration pier at that location, did burn. By then they were being used as warehouses for the storage of bonded liquor and highly flammable materials. Four men lost their lives and a British ship, the “Kerry Range,” was badly damaged. 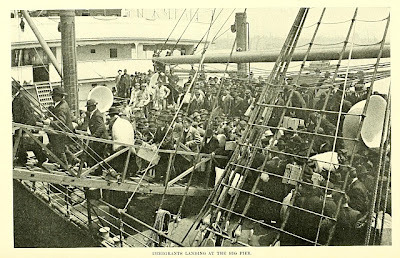 Through the efforts of the Maryland State Archives, the Maryland Historical Society, the Jewish Historical Society, and the B & O Museum in Baltimore, the public and private record of immigration in and through Baltimore is being preserved and made accessible. Without the care that those institutions and the National Archives have provided for the records, much of the story of the lives of those who contributed so significantly to the course of our nation’s history would be lost and we would be the poorer by it. 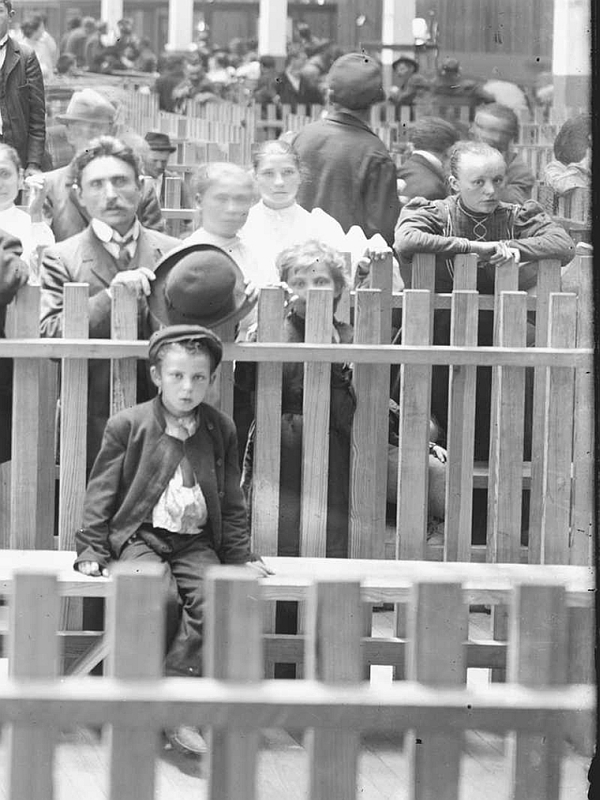 This image of a young boy and possibly his parents is a detail from the large photograph of some of the first arrivals at Pier 9, the new B & O immigration pier at Locust Point in Baltimore. It is from the original negative in the Peale Museum collection of the Maryland Historical Society which was printed in the Book of the Royal Blue article. They are probably passengers from the “Neckar” which docked at the new pier in June 1904. They were met by a Baltimore devastated at its heart by a fire that left the landscape of city as a haunting foretelling of a Europe soon to be engulfed in a war that did not end war. My father's parents arrived at Locust Point from Europe in September 1903, but they left for Rochester, NY, and work in the needle trades soon afterward. I visited Locust Point and saw only burned telephone poles from the pier where my grandparents might have landed. 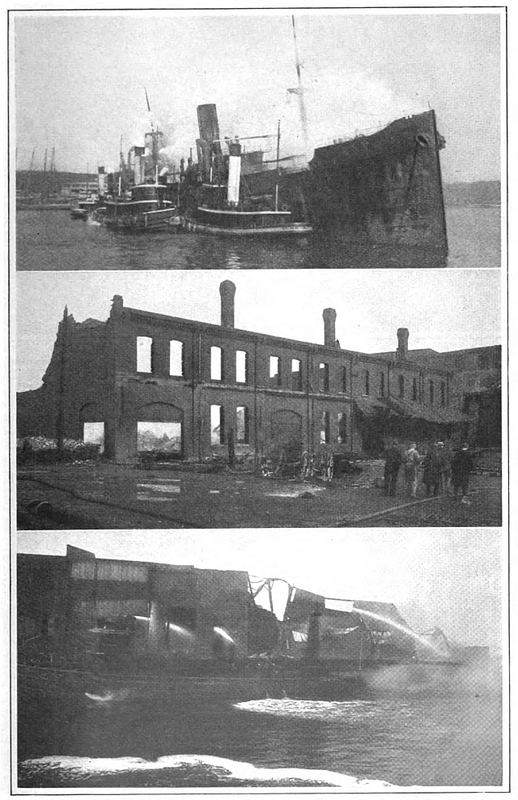 I read that fire devastated Baltimore and Locust Point in 1904.